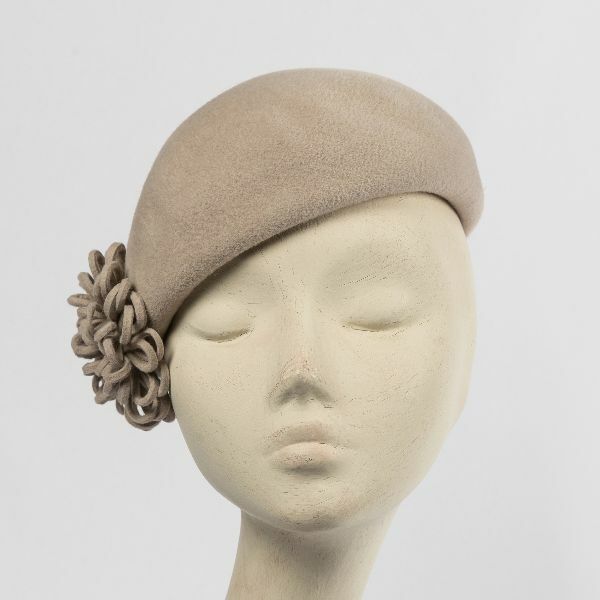 A stylish ladies’ hat made in textured velour felt. 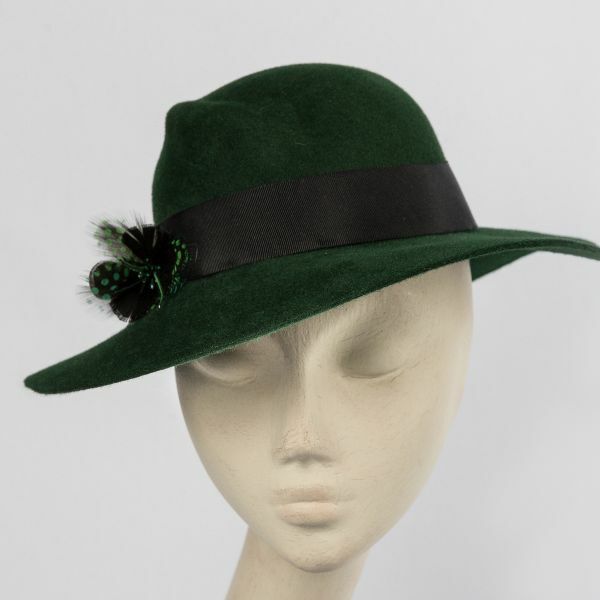 This hat is partly hand-blocked and partly freehand shaped. 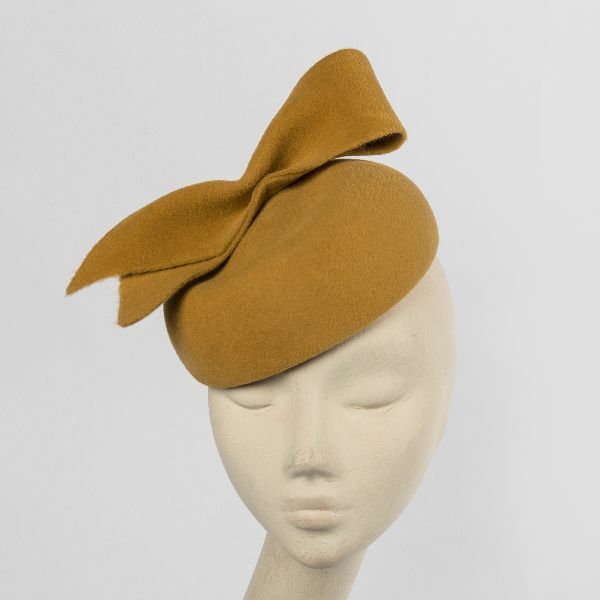 It is hand-stitched by me using traditional couture methods. 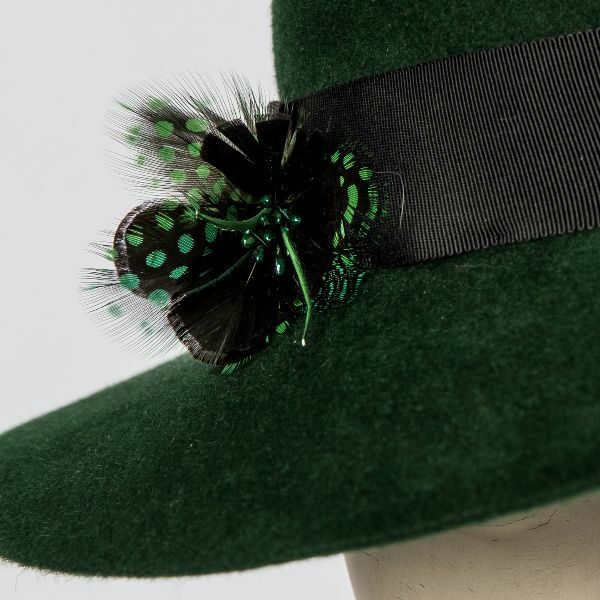 The hat shown is in dark green with hand-dyed guinea fowl feather detail. The feathers have been collected by me whilst out and about in the Hertfordshire country side where I live. 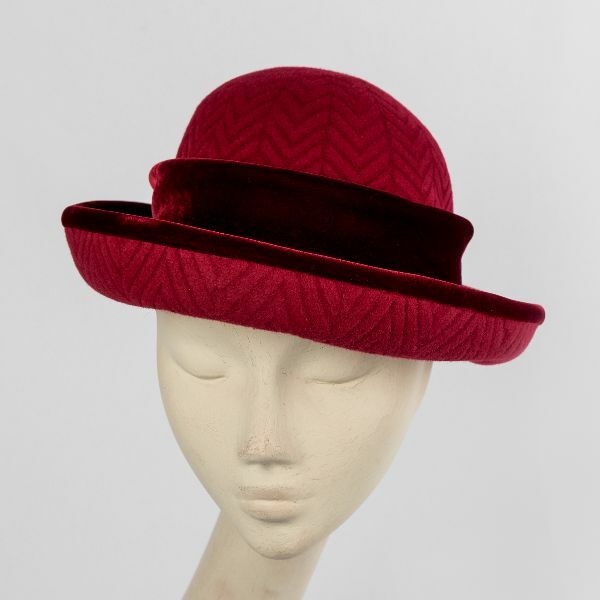 We will need your head measurements to make sure the hat fits to perfection. 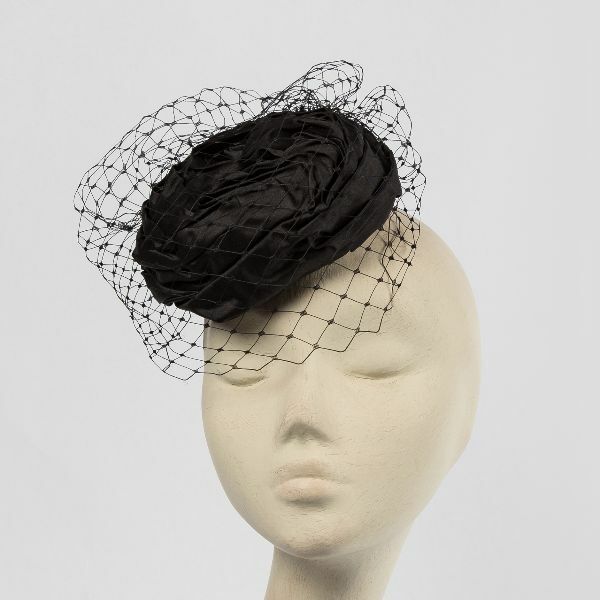 Please go to www.liaparkinson.co.uk/blog for details on how to measure your head.